On a summer night by a small pond, all seems still. But a closer look reveals a world of activity—mayflies dart, beetles dive, frogs spring, skunks shuffle, and owls swoop. As a young girl watches, the circle of life unfolds. 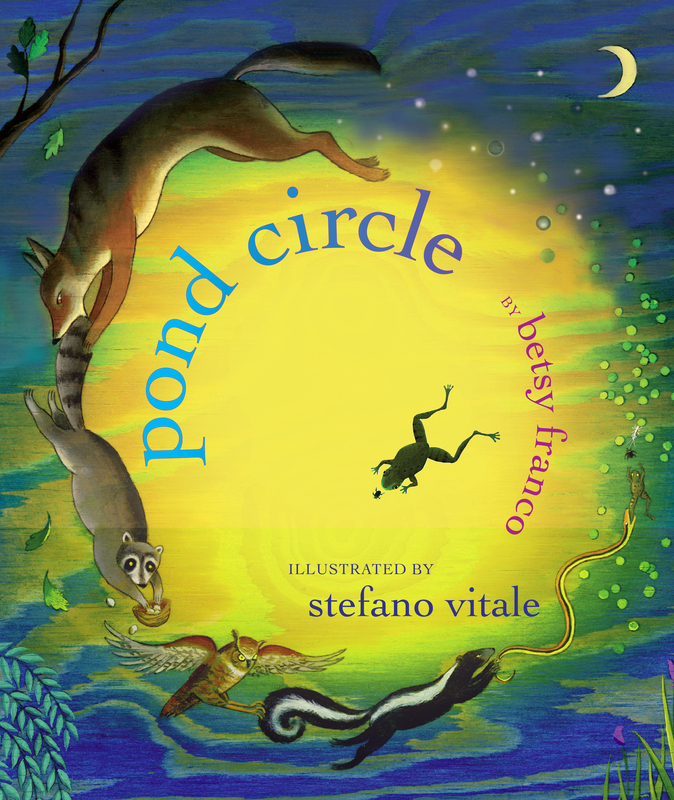 Betsy Franco’s rhythmic, cumulative text makes this a lively read-aloud, and rich, luminous paintings by Stefano Vitale capture the bold beauty of nature. Young readers will be inspired to journey into their own backyards and discover the wonder of the living, breathing world around them.